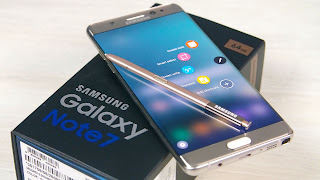 The Samsung flagship phone Galaxy Note 7 was yet to be officially launched in Nigeria before the sad incidents of explosions began to surface among its current users. However, for the sake of those that already have the Note 7 in their possession, Samsung Nigeria has decided to speak on their concerns and also available assistance to its Nigerian users. Samsung remains committed to working diligently with appropriate regulatory authorities to take all necessary steps to resolve the situation. Consumers with either an original Galaxy Note7 or replacement Galaxy Note7 device are advised to power down and stop using the device and take advantage of the remedies available at our Samsung Authorized Service Centres. Although the Galaxy Note7 has not been released in Nigeria, the current Galaxy Note7 users, despite the original place of purchase are kindly advised to visit the nearest Samsung Authorized Service Centre for immediate assistance. Customers are advised to return their Galaxy Note7 to Samsung Authorized Service Centres and be guided with available options. Those who have already returned their Galaxy Note7 will also be contacted from Samsung for their options. “We sincerely apologize for the inconvenience this may cause to customers and partners who have trusted and waited for the Galaxy Note7,” said Emmanouil Revmatas, Director and Business Leader, Information Mobile and Technology, Samsung Electronics West Africa. I wonder why some people can still be holding on to the Galaxy Note 7 after seeing all the graphics images of casualties. And the interesting part is that the company even resolved to change it yet people won't listen, it's not Nigerians alone though.